Former first lady Michelle Obama is known and admired for many things, in particular for an often-quoted “they go low, we go high” motto, which she delivered in 2016 during her speech at the Democratic Convention. This is an attitude I want to see more of in the hypnotherapy field. 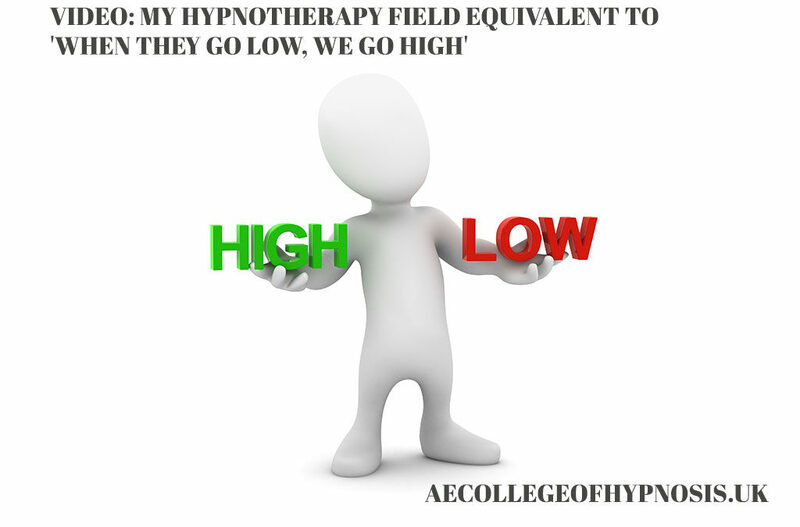 The field of hypnotherapy runs the risk of being held back and damaged by those who spread misinformation, those who market too loudly without substance and in particular those who bully alternative perspectives to their own. In this video I give a major illustration from a decade ago when I first commented on a story of the UK Police force offering hypnosis training. I give some major commentary on the way hypnosis is marketed and why more of us hypnotherapists need to stand up and be better role models for future generations. The is the article I refer to in the video: Police Sent on Hypnosis Course.